Hello everyone! being a long while but yes! Am still here *smiles*... 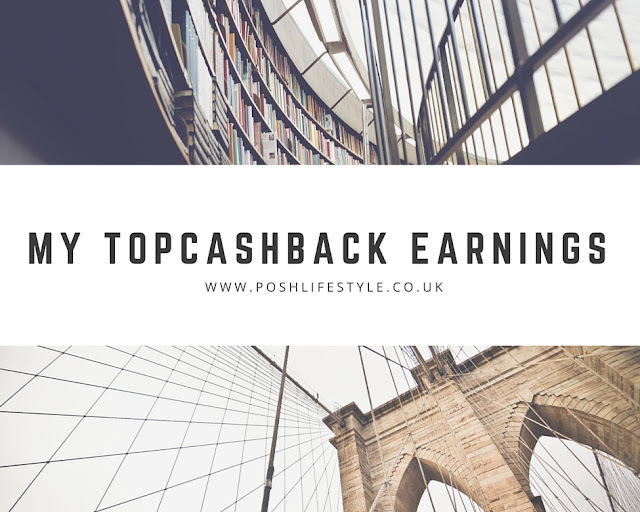 So one of the things am ALWAYS passionate about is ways to make and save extra money here and there, regardless of having a well paying full time job, i still find all opportunities to make extra cash every now and then. One of my all time favourite extra money maker is Topcashback. 4. You'll receive notification via email that your visit has been tracked and the update on the cashback. Below is how much i have earned from September last year up until now. - It depends on what the shop is offering sometimes it is an amount e.g. £50 when you sign up to BT broadband or 10.1% on what you spend at Dunelm. - It also depends on how much you shop online and in stores. 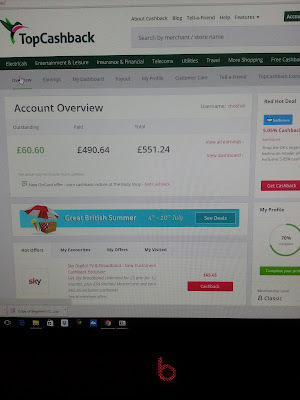 - I've earned £551.24 since September 2015. Its quite a good chunk of money within that timeline and what you could do is just put the money you earn into a savings account and let it build up. - If you're shopping online anyway, why not earn money doing it? - Payout days just days to appear in bank account. - Lots of shops pay you cashback on repeated transactions...rather than "On your first purchase"
- Sometimes your order isn't tracked, but it's likely due to an error on the shop's site rather than TopCashBack or something to do with having ad blockers on your computer. Anyway I give it a few days for a purchase to show in my account before lodging a claim. 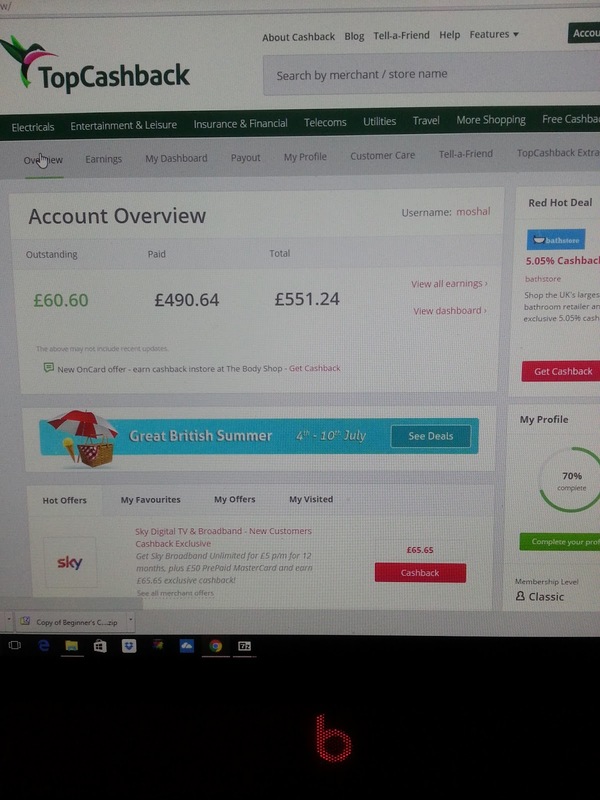 - You need to log in to your account at least every 6 months otherwise your account is removed and you'll lose any money you haven't claimed.